The entire top-left corner of the Underground map is pretty much off-limits to most Londoners. It has the status of a curio, the sort of thing that catches your eye as you pass the window of an antiques shop but which you’d rather not pause to examine too closely. What exactly goes on up there, the majority wonders, in that messy bit of the network that isn’t even in London, with stumps of lines sprouting off all over the place, and stations with names like Chalfont & Latimer? Blindfold most Londoners, transport them to somewhere in zone 7 or 8, then ask them to find their way back to Charing Cross without using a map or asking directions, and a moral panic would ensue. Moor Park is in Hertfordshire, just outside the boundary of Greater London, but it may as well be in Lancashire, or a county that doesn’t even exist anymore, like Salop. If there’s an unreal air about the place, it could be because it once looked more like a studio set than a working station. If there’s an underwhelming air about the place, it could be because a studio set would have more personality. 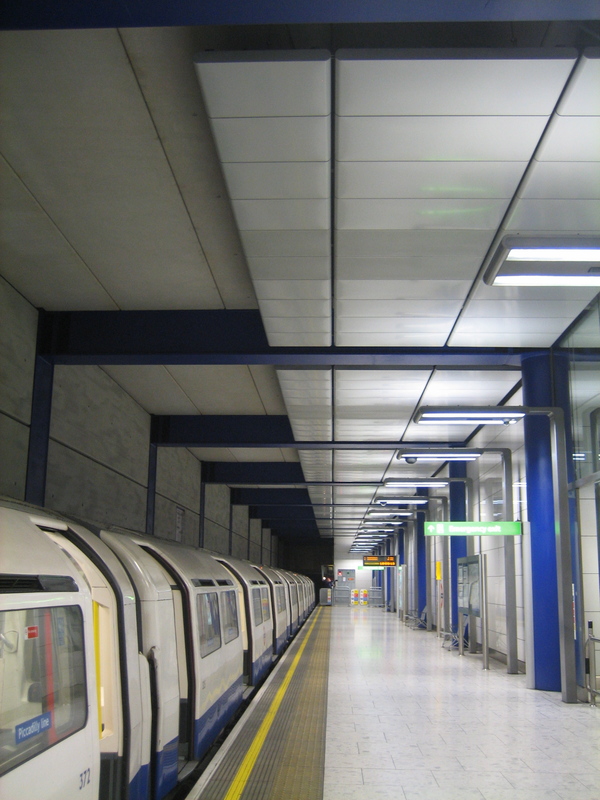 But it does have one feature in its favour, and it’s one that compounds the agreeably peculiar feel of this part of the Underground even further. 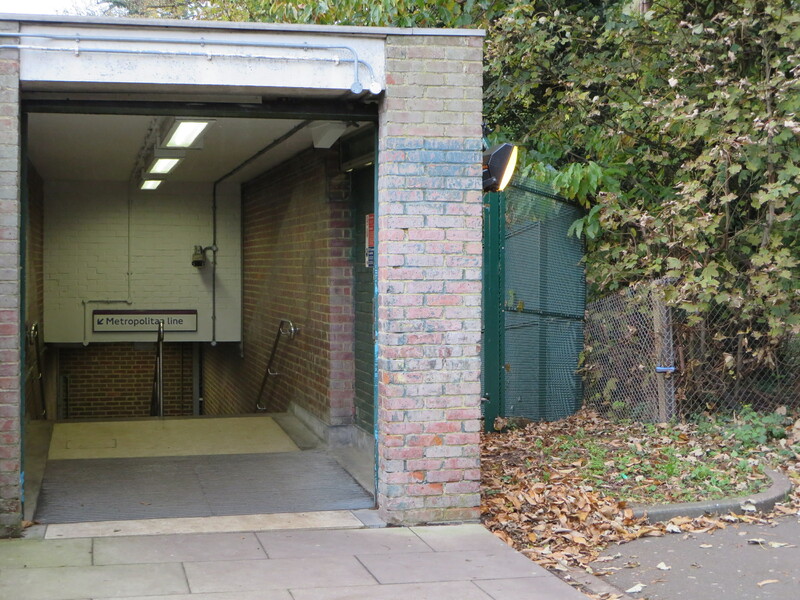 Moor Park has a “secret entrance”. The inverted commas are necessary because were it an actual secret entrance, I wouldn’t be writing about it, because it would be secret. It does have a secretive ambience, however, and that’s a lot to do with it being on the edge of a rather menacing-looking patch of woodland. 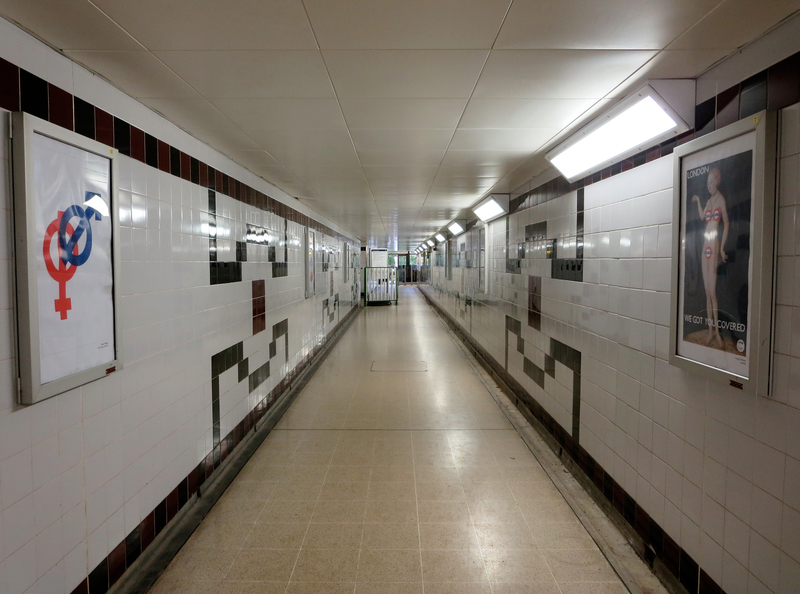 The subway is rather splendid, it has to be said: well-lit, tastefully-tiled, lined with posters produced for the “100 years of Tube Art” exhibition in 2008, and above all incredibly clean. But then it is largely uncontaminated by people. I stood at one end, aware only of my own presence and some distant footsteps that seemed to be coming and going at the same time. It was very easy (and rather enticing) to imagine I had in fact stumbled upon one of the government’s nuclear bunkers, humming stoically with the anticipation of filling in forms about the apocalypse. This is a rum place and no mistake. 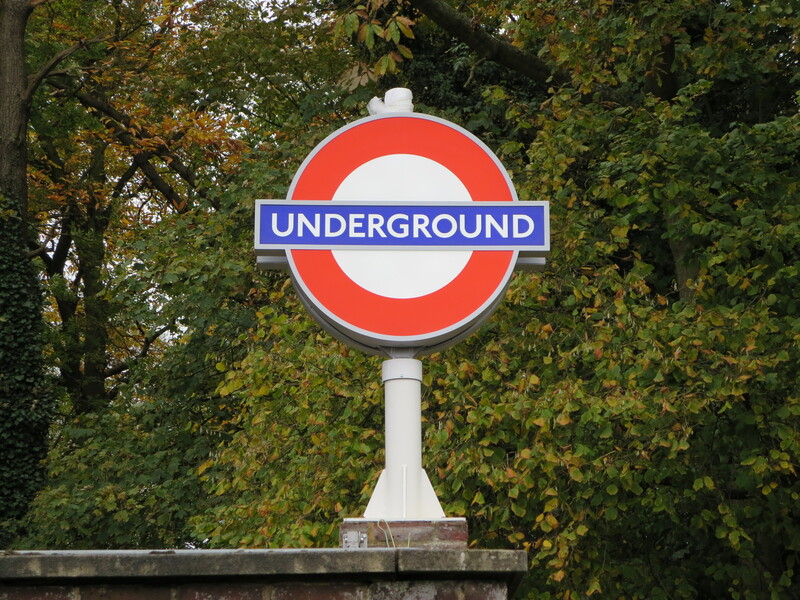 Other Underground stations with alternate exits can be found, from the hellish (Oxford Circus) to the heavenly (East Finchley), though none are quite as delightfully eerie. Moor Park used to be on the Great Central Railway, which meant that at one time I could have caught a train from here to my home town of Loughborough in the East Midlands. Now it’s cut off from mainline services, despite trains in and out of Marylebone sharing its tracks with the Metropolitan. The circumcised roundel on top of the ‘secret entrance’ rather aptly, if painfully, sums up its plight. “Like the architecture?” a Terminal 5 employee called out to me as I stood taking this photo. “Yes,” I replied, “absolutely.” “I hate it,” chipped in a passer-by, hurrying up an escalator. “That’s because you work here,” said the employee, firing me a knowing smile. I felt a bit flattered. Not only had I been hailed by a member of staff who for once was not demanding I put away my camera or else chase me off the premises, I had also been made party to a bit of staff-room bitching. And I didn’t even work here. I had an “in”! And at an airport, a place where I usually feel thoroughly “out”! To bond with a stranger over a slice of modern architecture is a rare treat. To do so at Heathrow Terminal 5, which trumpets its contemporary wares from every crevice, made me a bit dazed. Or to be accurate, even more dazed, because I’d felt a little out-of-sorts from the moment I’d arrived. 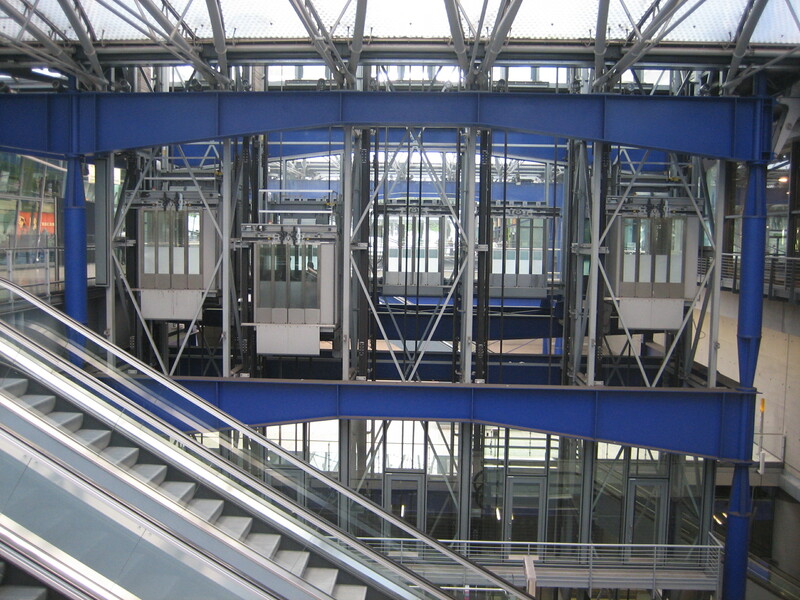 Despite offering plenty of architecture to admire, this terminus-in-a-terminal stretches every sinew to make you not want to loiter. Its glittering speck-free platforms and vast hushed walkways, not to mention its platoon of notices all urging you to move on and go somewhere else, conspire to make the spectator – as opposed to the traveller – feel rather uneasy. This isn’t an environment conceived for contemplation. If you must wait, the atmosphere implies, do it sitting in a carriage, or up in the airport terminal itself. To stand still is to stand everyone else to attention. Which is a shame, as the best way to appreciate the elegance of the station is to do just that. And not just stand still, but look up, for this is a majestic soaring construction that scoops light from the surface and deposits it dozens of metres below the ground, while simultaneously doing the same in reverse with people. Arriving here after 45 minutes on the Underground is to emerge from a dark warren of horizontals into a rather eerie but enticing forest of verticals. 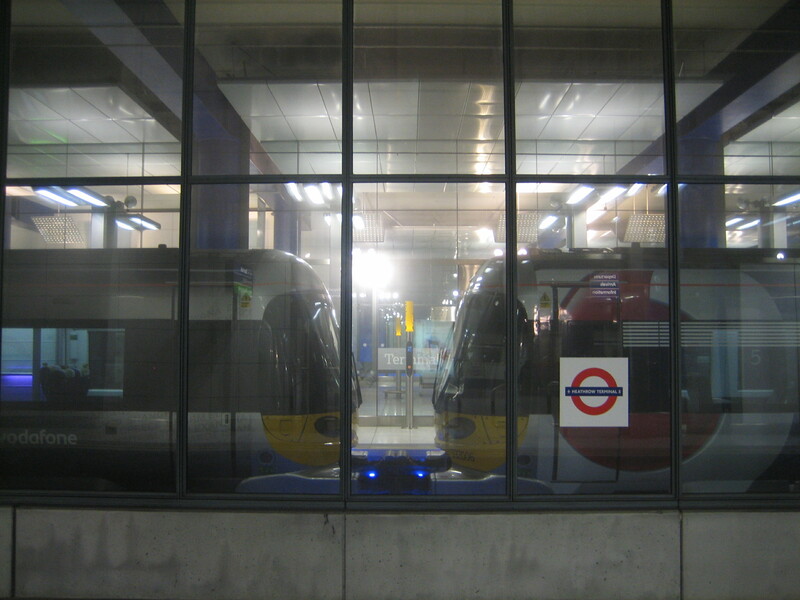 The station isn’t as magnificent a modern-day cathedral as some of those along the Jubilee line extension, such as Westminster and Canary Wharf. But it’s scale is just as persuasive as its design, it has a church-like enforced calm, plus there’s a curiosity value that repays – if you can manage it – a non-suspicious linger. 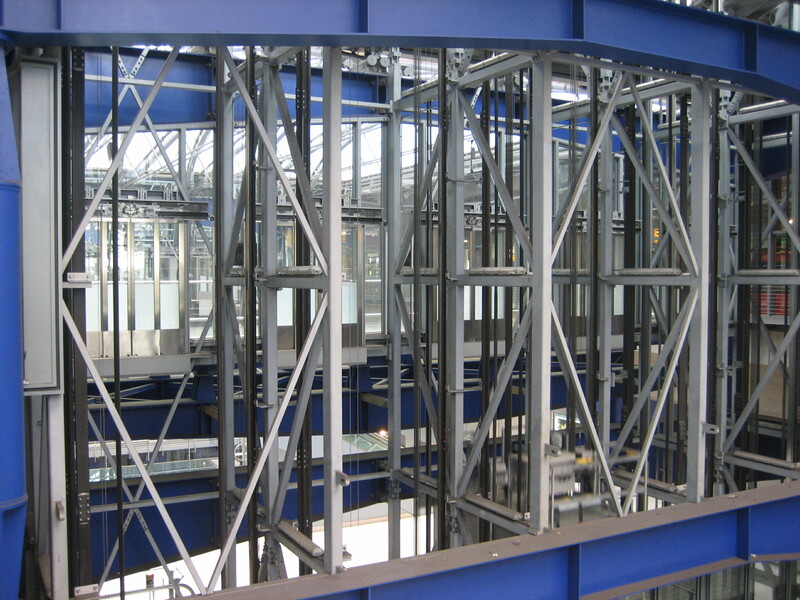 This was the first time I had been anywhere near Heathrow for years – and the first time ever I had been to Terminal 5. Along with not really knowing what to expect, I’d had to deal with the rising anxiety of setting foot in one of the world’s most scrutinised airports with absolutely no intention of getting on a plane or meeting people who had just got off one. Ripe for scrutiny, in other words. Which is precisely what happened, though not in the form of an interrogation, more a jovial chat. Nonetheless after about 20 minutes I wanted to leave. I had a hankering for fresh air and the sight of a brick. Besides, all those semiotics were doing my head in. Now there’s a phrase I haven’t needed to use since back at university. For a long time I was baffled by the opening line of the Beatles’ Back in the USSR. “Flew in from Miami Beach BOAC.” What did those letters mean? Were they some kind of code? A bit of 1960s polari? I decided it was an in-joke of the era, a teasingly exotic hangover from a time of impenetrably trendy goings-on, but one that added a potent twist to what I still think is one of the most exciting opening 30 seconds to any song on any album ever. 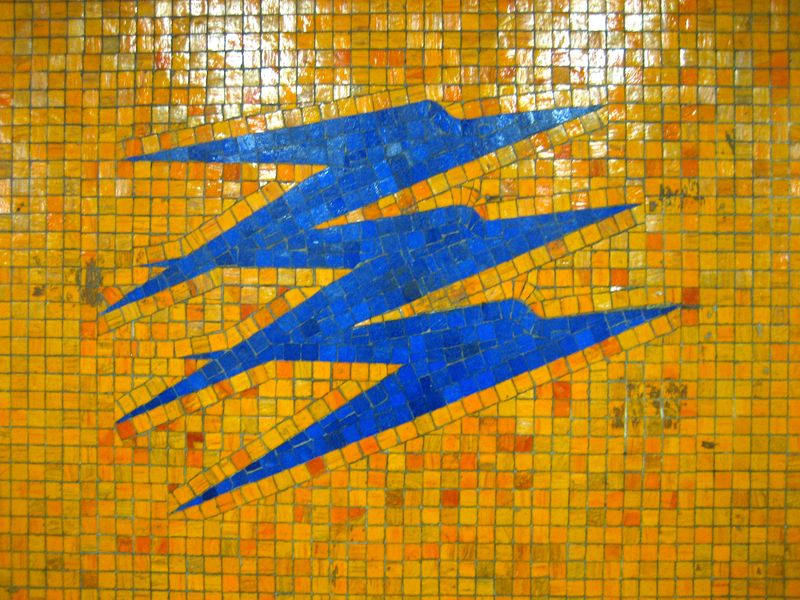 It is the old British Overseas Airways Corporation logo, and it is gorgeous. Speedbird, to give it its thrillingly imagine-what-the-future-will-be-like name, used to be emblazoned all over aeroplanes until British Airways was privatised in the early 1980s (coincidentally, around the same time I would have first heard Back in the USSR). Since then it’s been revised and adapted and generally messed around with so as to become virtually unrecognisable. Not that I’d ever be close enough to spot it, given my fear of flying. 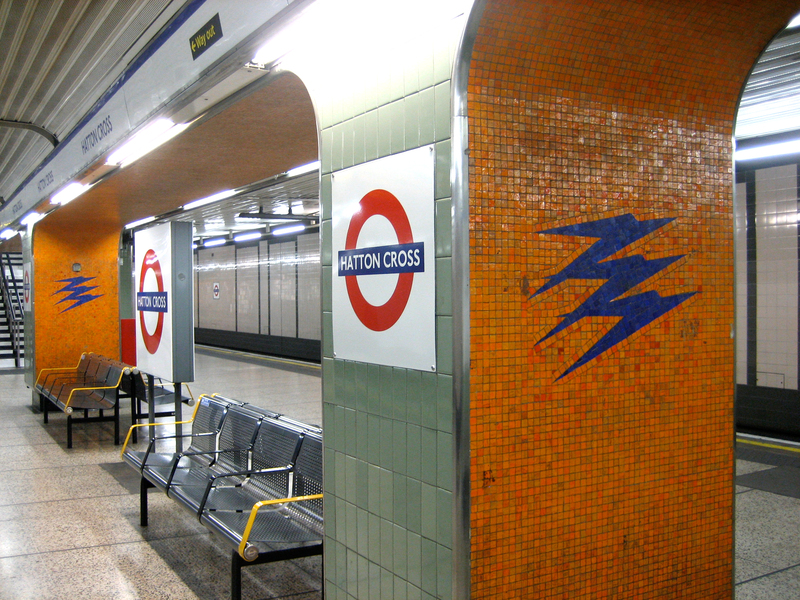 Indeed, even being at Hatton Cross, one stop along from the first of the Heathrow stations, gave me the jitters. Although this might have been more down to the questioning looks I was getting from waiting passengers. 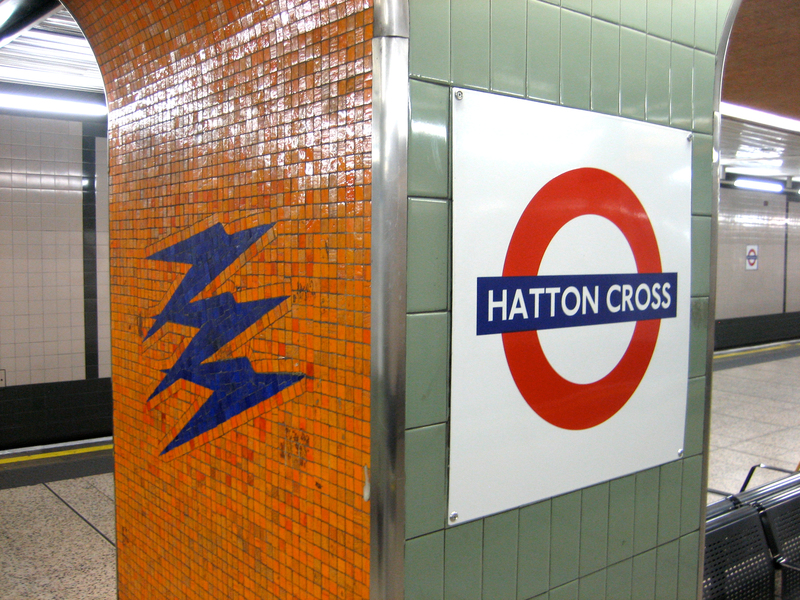 You’re encouraged to change trains at Hatton Cross to get your desired connection to terminals 1, 2, 3, 4 or 5. As such the platforms play host to much anxious watch-checking and ticket-consulting. Maybe these bold and colourful streaks of futurism provide a welcome distraction. They can certainly calm the nerves of the most aerophobic of souls. Planes: perfectly fine when turned into a two-tone mosaic on a pillar. Just don’t send me up inside one, or there’ll be more than a paper bag on my knee.